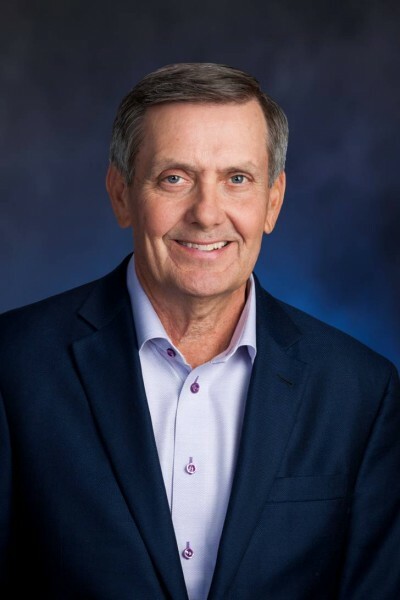 GAINESVILLE, FL: David M. Thomas (BS IE 1971, MS ENG 1972), with three decades of management and board experience at some of the world’s largest corporations, has been named to UF’s Board of Trustees. The appointment was made today by the Florida Board of Governors. As a senior vice president at IBM, Thomas led the company’s worldwide multibillion dollar personal computing business. He currently serves as chairman of the board of Fortune Brands Home & Security, a leader in the home products industry with brands that include Master Lock, MasterBrand cabinets, Moen faucets, Simonton windows and Therma-Tru entry door systems. He also led IMS Health, a leading global provider of information solutions to the pharmaceutical and health industries, as its chairman, chief executive officer and executive chairman. After receiving his bachelor’s degree in industrial engineering from UF, he earned a master’s degree in engineering from the university in 1972. He was honored with the university’s Distinguished Graduate Award in 1996. He is also a member of the ISE Hall of Fame. He currently serves as a member of the board of directors for Gator Boosters. Thomas and his wife, Carol, also a UF graduate, live in Windermere, Fla. Their three children are alumni of UF graduate programs. Thomas will serve a five-year term. He succeeds trustee Alfred C. Warrington IV, who concludes two terms on the UF Board of Trustees. Warrington was appointed in 2001 as a founding member of the board.